From light, sheer fabrics to experimenting with colour, Larson has shared her top five tips for how to instantly upgrade the pretty-factor of your wedding dress this summer. Read on to learn from her wedding wisdom! 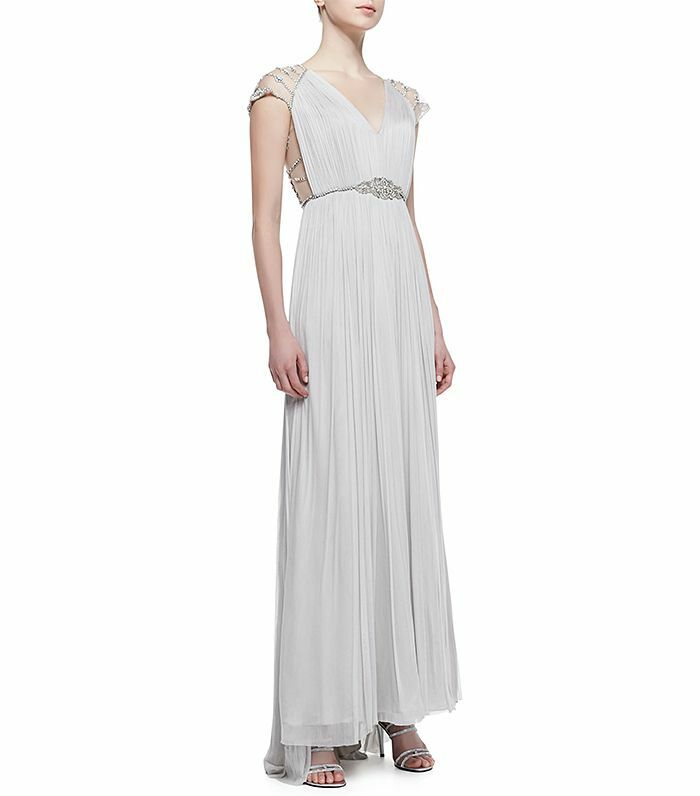 If you’ve ever dreamed of walking down the aisle as a glittering grey goddess, this is the dress for you. Barely-there pastels are a pretty and oh-so-subtle way to play with colour.